Will you be recycling your dead batteries at the curb this fall? See the list of Ontario communities scheduled for Fall 2018 below! 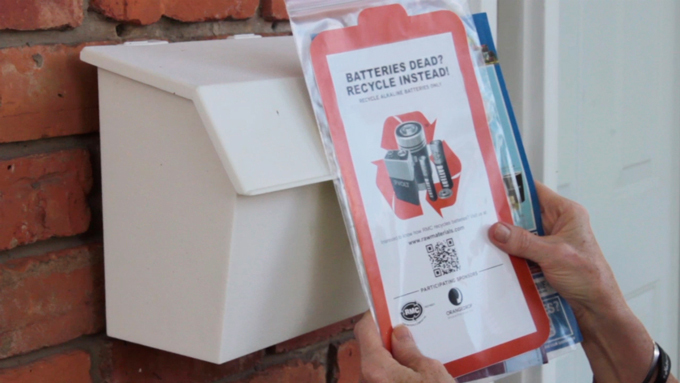 Twice a year, Raw Materials Company in partnership with Orange Drop teams up with many Ontario communities to provide people with a convenient option to recycle used household batteries at the curbside. First, battery recycling bags are sent to households by the municipality, either through the mail, inserted into a newspaper or left behind by the recycling driver. Following the instructions on the bag, people are asked to round up all of their used, single-use batteries and place them inside the bag sealing it with the zip tab. On your recycling day that falls during the collection week advertised by the municipality, you set your bag out with the recycling. It's that easy. The collection container and setout instructions are unique to each municipality. Please refer to your municipal website below for specific setout instructions and collection dates. This recycling option is not provided year round and is only offered in the communities listed below. Batteries should never be placed inside a recycling box loose or set to the curb outside of a designated collection period. The Blue Mountains is providing its third curbside battery collection to 6,000 households. The Blue Mountains is providing its collection the entire month of September, 2018. Please visit the Town of The Blue Mountains website for more information. The City of Guelph is providing its third curbside battery collection. The collection is scheduled to run from October 15 - 26, 2018. Please visit the City of Guelph website for more information. The Regional Municipality of Peel includes the City of Brampton, City of Mississauga and the Town of Caledon. The next curbside battery collection for the Region of Peel will run from October 15 - 25, 2018. Please visit the Region of Peel website for more information. The City of Kawartha Lakes is providing its third curbside battery collection. The next curbside collection is scheduled to run from November 5 - 8, 2018. Please visit the City of Kawartha Lakes website for more information. There are eight municipalities that make up Dufferin County including the Townships of Amaranth, East Garafraxa, Melancthon, Mulmur and the Towns of Grand Valley, Mono, Orangeville, and Shelburne. The next curbside battery collection for Dufferin County is scheduled to run from November 5 - 9, 2018. Please visit the Dufferin County website for more information. Durham Region includes more than 190,000 homes serviced by curbside recycling throughout the Cities of Oshawa and Pickering, the Towns of Ajax and Whitby, the Municipality of Clarington and the Townships of Brock, Scugog and Uxbridge. The next curbside battery collection for Durham Region is scheduled to run from November 5 - 9, 2018. 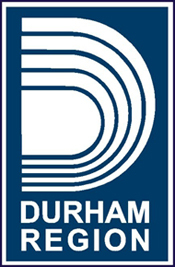 Please visit the Region of Durham website for more information. The City of Barrie is providing its third curbside battery collection to 42,000 households. The collection is scheduled to run from November 5 - 9, 2018. Please visit the City of Barrie website for more information. The County of Simcoe is comprised of 16 member municipalities including Adjala-Tosorontio, Bradford West Gwillimbury, Clearview, Collingwood, Essa, Innisfil, Midland, New Tecumseth, Oro-Medonte, Penetanguishene, Ramara, Severn, Springwater, Tay, Tiny and Wasaga Beach. The next curbside battery collection for Simcoe County is scheduled to run from November 5 - 9, 2018. Please visit the County of Simcoe website for more information. The City of Orillia will be providing a curbside collection for used batteries from November 5 - 9, 2018. Please visit the City of Orillia website for more information. This will be the second curbside battery collection for the City of Kingston. The collection is scheduled to run from November 5 - 9, 2018. Please visit the City of Kingston website for more information. The next curbside battery collection for the City of Peterborough will run from November 6 - 9, 2018. Please visit the City of Peterborough website for more information. There are nine municipalities serviced by Quinte Waste Solutions including the Cities of Belleville and Quinte West, Prince Edward County, Centre Hastings, the Villages of Tweed and Madoc, the Municipality of Marmora and Lake and the Townships of Stirling-Rawdon and Tyendinaga. The next curbside battery collection for Quinte and area is scheduled to run from November 5 - 16, 2018. Please visit the Quinte Waste Solutions website for more information. Most alkaline batteries that we use everyday do not require any special preparation before we store or recycle them, however some do. To reduce any risk of short circuit, please take precautionary measures by placing masking tape on the terminal ends when storing or recycling the batteries mentioned in the link below. Pay particular attention to all lithium batteries and any 9-volt batteries. 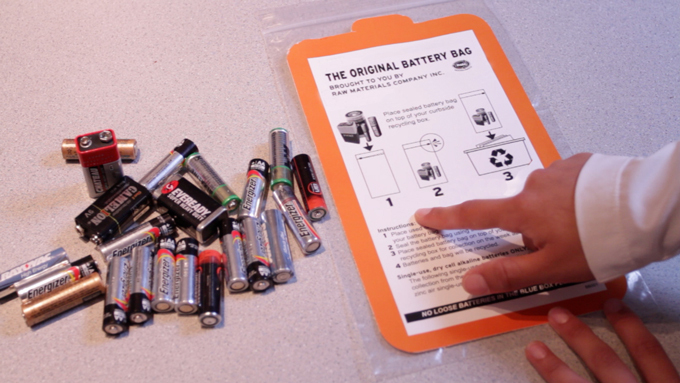 Learn how to prepare your batteries for recycling. Any Ontario municipality who participates in this program is eligible to receive an incentive back to help cover the costs of promotion and logistics. Get in touch with us today to find out how your community can participate in this convenient program! How do I recycle batteries year round? If you miss your collection date or live in an area where the service is not provided, you can always find your closest Ontario recycling point by typing your postal code or city name into this handy search tool. There are over 4000 recycling points in Ontario for single-use batteries. Lead Acid batteries like the type you would find in your car must be taken to a Municipal Hazardous & Special Waste Depot (MHSW) or returned to a participating retailer. 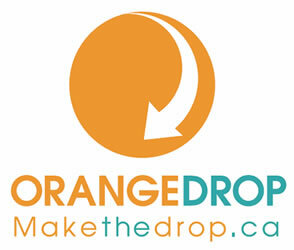 To access a list of Ontario’s MHSW drop off points, please visit www.makethedrop.ca. This program is made possible through the Stewardship Ontario Curbside Battery Recovery Incentive program. Stewardship Ontario is the Industry Funded Organization that works with the battery manufacturers as well as other product stewards in the Province of Ontario. Orange Drop is Stewardship Ontario’s public facing program that provides Ontario residents with a free, safe and easy way to dispose of products that require special handling. Find a recycling location near you!